I brought back this goodie here in the USA. Hubby was the one who got all the trouble of carrying them back here. Since, he went back 2 months ahead of me, I told him to make sure when he gets back home. He will immediately put them in the freezer. And he did a pretty great job. Because until now, I still have a few of this Suma left in our freezer. Keeping them freeze and just thaw and steam the pieces I want to eat. Myself and my son enjoy this tasty dessert. And I can't wait to make one here, now that I know where to find a banana leaf. For those who don't know what's inside this glorious food. It is basically, a white sweet sticky rice and the black sweet sticky rice, braided together, rolled to become one and wrapped in a steamed banana left. 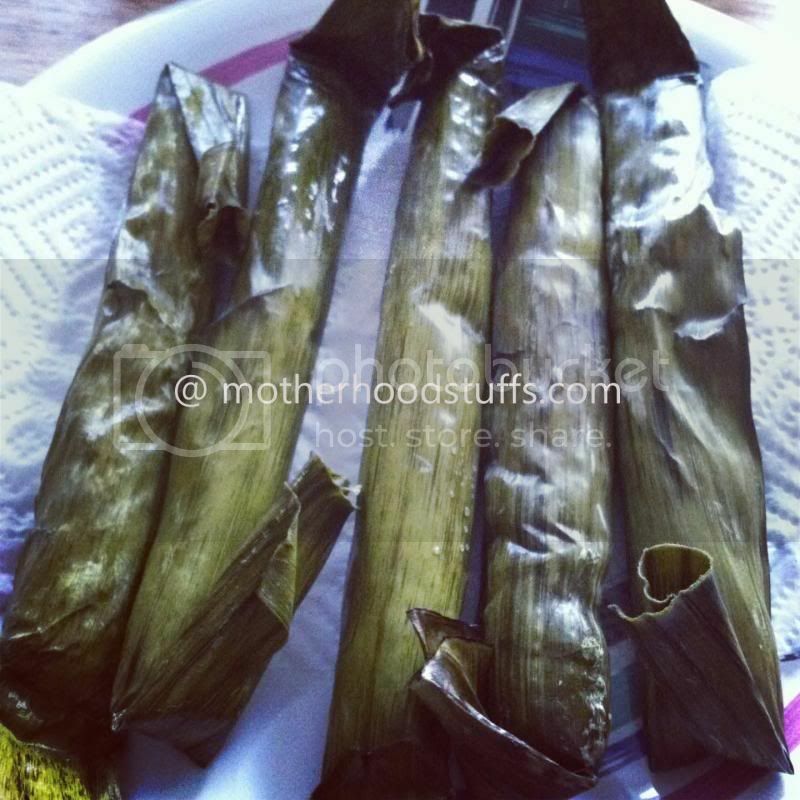 Before you can eat the Suman, you have to steam it first to make sure that the sticky rice inside is good enough to eat. And Voolah!! !